There are so many ways to describe Abingdon. Historic. Scenic. Charming. Artistic, and of course, antiques! 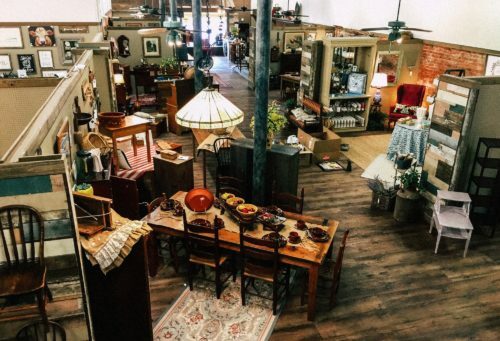 Abingdon's newest downtown antique attraction, Wolf Hills Antiques offers 5,000 square feet of antiques, primitives and vintage. The 20 vendors and consigners of Wolf Hills Antiques offer European and primitive antiques, painted pieces, furniture, cast iron, glassware, and pottery. Wolf Hills Antiques is also a member of the Abingdon Antiques Trail, a group of stores and dealers offering Antiques enthusiasts more than 57, 300 square feet of shopping within a 3 mile radius.